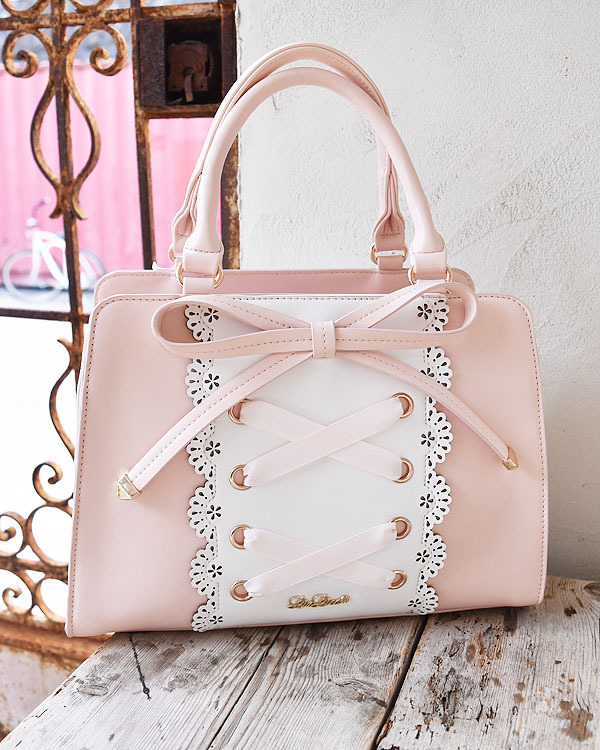 A girly bag with a large ribbon and a cute color scheme. The shoulder strap is removable. Perfect as a bag for school or for work.